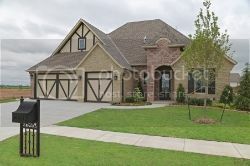 Beautiful Festival Show Home in Norman Just Listed! Posted by Rob Schaerer on Tuesday, July 22nd, 2014 at 4:51pm. 5913 Windstone Drive Norman, OK Just Listed! Builder's Association Festival Show Home! All the upgrades that you could ask for! Granite countertops everywhere, stainless steel appliances, Gas stove, walk-in pantry, HUGE island w/ vegetable sink. Big Master Suite with Jetted tub, large walk-in closet in master bath, and wood-look tile. Bonus/theater room wired for surround! Wood floors in the living room and study. Big covered patio! Ask for a list of all of the upgrades!